LOS ANGELES, CA -- A 69-year-old man has been charged with one count of premeditated murder as a hate crime after prosecutors say he shot his son to death outside their southern California home for being gay. 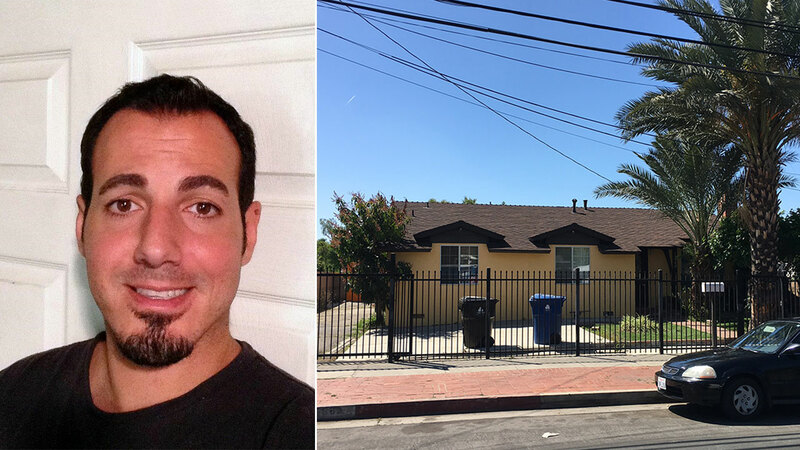 Shehada Khalil Issa was arrested Tuesday after Los Angeles police officers found his son's body outside the home. Issa's wife, later identified as 68-year-old Rabihah Issa, was found stabbed to death inside the residence. The suspect told police he shot his son Amir in self-defense after he discovered his wife's body in their house. An investigation into Issa's wife's death is ongoing. The Los Angeles County District Attorney's Office said Friday that Issa had previously threatened to kill his 29-year-old son for being gay. "The murder was committed because of the victim's sexual orientation and because of the defendant's perception of that status and the victims' association with a person and a group of that status," prosecutors said in a statement. Los Angeles police investigate a fatal shooting and stabbing in North Hills Tuesday, March 29, 2016. Neighbors said Issa didn't say much and kept to himself, and that Issa's wife was rarely seen. Issa is being held without bail and is scheduled to be arraigned at L.A. County Superior Court on April 11. If convicted as charged, he faces life in prison without the possibility of parole. The case remains under investigation by the LAPD.